WELCOME TO THIS MUST SEE HOME IN THE DESIRED COMMUNITY MARTINIQUE OF ABACOA. THIS HOME FEATURES 3 BEDROOMS WITH A DEN/OFFICE DOWNSTAIRS ALONG WITH A COVERED PATIO UPSTAIRS. DESIGNER TOUCHES THROUGHOUT, CUSTOM PLANTATION SHUTTERS, TILED FIRST FLOOR. THE KITCHEN FEATURES A WALK IN PANTRY, STAINLESS STEEL APPLIANCES, DOUBLE OVEN AND CROWN MOLDINGS. THE MASTER BEDROOM FEATURES DARK PLANTATION SHUTTERS WITH OVER SIZED MASTER BATHROOM WITH UNDER CABINET LIGHTING. THE BACK YARD IS WELL LANDSCAPED AND FEATURES A COVERED PATIO ATTACHED TO THE TWO CAR GARAGE. 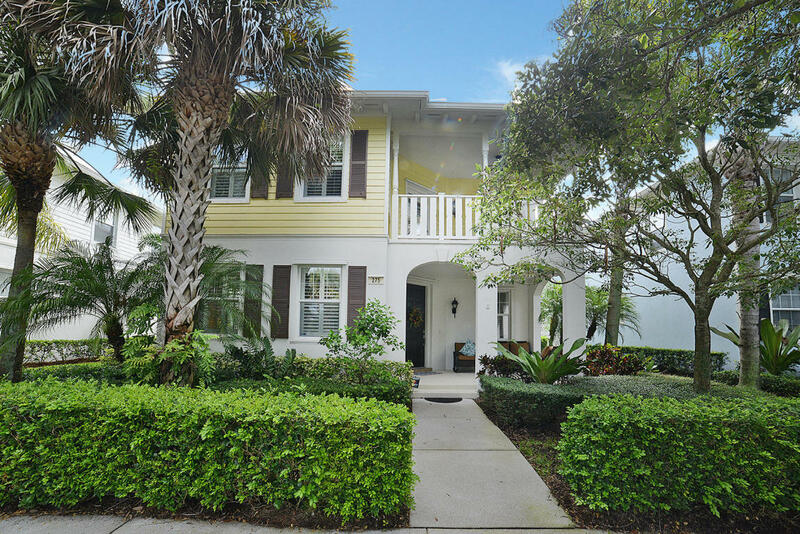 AS SOON AS YOU WALK UP THE STEPS AND OPEN THE DOOR YOU FEEL THE CHARM OF THIS KEY WEST STYLE HOME.